Home How To Charge Your iPhone Without A Charger The Easy Way? How To Charge Your iPhone Without A Charger The Easy Way? Having a device or your iPhone running out of battery can be a frustrating issue especially if you don’t have a charger with you. It will limit your reach as well as availability that will lead you to miss important business calls, emails and emergency calls from home. If you find yourself in this kind of situation, don’t feel bad and lose hope. Because this article is about the various unconventional ways on how to charge your iPhone without a charger. These are alternative methods that you can use to charge your dying iPhone battery without using your charger. With these innovative tricks that will allow you to charge your device, you will have the luxury of leaving your phone turned on at all times. It will also leave you reachable anytime, anywhere. This reduces the risk of missing important calls, messages, emails and any communication. Having these alternatives will also extend the runtime of your device allowing you to use it for longer periods of time without any interruption. Regardless the reason why you don’t have your iPhone’s charger, you will still have plenty of options to allow you to charge your device. The different charging alternatives listed below will give you an idea on how you can use the charger cable to charge your device. It will also show you how to use some of the ordinary household items to fix a damaged cable and create a makeshift charger for your iPhone or any other device. These charging alternatives listed below can be very useful in situations that you don’t have the regular charger with you. You can also use these unconventional ways of charging your phone for emergencies. So make sure to bookmark this useful and helpful guide for future reference. This method might be the most well-known alternative that will enable you to charge your device without a charger. The introduction of these portable batteries which are also called as power banks, allowed us to have a reliable backup power supply to power a multitude of devices. These battery packs are available in a variety of sizes and types that you can get from almost all electronic stores worldwide. Having a portable battery pack enables you to charge your iPhone or other devices at any place and time. All you have to do is to use the charger cable and then connect it to your device. If you have the charger cable with you or a USB cable, you can use it to charge your device by simply connecting it to your laptop or a desktop computer. This method is commonly used by a lot of students in a library, computer lab, computer shop, internet cafe and even electronic stores located in malls. Almost the same as the second method, having a USB cable at all times can be a true life-saver. If your iPhone is running out of power and you only have a USB cable and phone with you, try to look for devices or electrical appliances that features a USB port. The usual electronic devices that have USB ports are televisions, stereos, game consoles and bedside clocks. To charge your iPhone, all you have to do is to use the USB cable to connect your phone to any device through its USB port. Of all the types of charger, car chargers are the ones that are never lost. This is because they never leave the car. So if you find yourself in a middle of a situation that you urgently need to charge your iPhone but you don’t have your charger. Your car is a sure place where can charge your device. Although it may take some time to charge your phone, slowly but surely your phone is going to be charged. One way of charging your iPhone or any other device while showcasing your creativity and innovativeness is by using makeshift charger using AA power cells. This simple yet innovative way of charging your device will allow you to charge your devices just about anywhere. 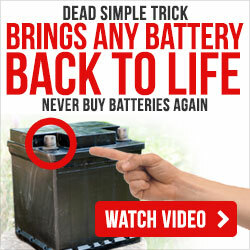 All you have to do is to use a battery holder, to enable you to combine FOUR double A batteries. Then use an old charger cable to connect your iPhone to the battery holder. A cool thing about this method is that the four combined double A batteries provide the same amount of power that your device gets from the charging cord. There are plenty of portable chargers that you can use to charge your iPhone without its regular charger. One of these said portable tools that will allow you to charge your iPhone just about anywhere is the small wind turbine unit. This portable device uses the wind to generate power which is converted to the charge being stored on your iPhone’s battery. You can purchase this portable wind turbine to any electronic shop and outdoor supply shops around the globe. 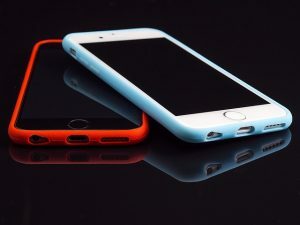 Another method of charging your iPhone, iPad, tablet and other devices without their regular charger is by using the different types of portable charger available on the market today. These portable chargers are designed to generate energy for your devices by using different types of renewable energy. One of these chargers is the portable solar charger that uses solar energy to charge your device. Portable solar chargers can also store energy that your device can use when you need it. Another portable charging device that you can use to charge your devices like iPhones, smartphones, tablets, iPads, and Androids is the Hand Cranking Charging Device. It stores the energy that your momentum generates when you crank the machine. Then feed it to your device when you connect it using the USB cable. The Portable Campfire Charger is another device that you can use to charge your devices without a regular charger. This device works absorbing the heat energy from the campfire and then converting it power that will charge the device connected to the other end of the USB cord. In most circumstance, this method of charging an iPhone or any device may seem to be too good to be true. However, this method of using acidic fruits as batteries to produce energy works. This is a method a bit complex, and it has a high risk of damaging the device to be charged in the process. So make sure to consider all the odds before doing this method. If you are to pursue this method, the first thing you have to do is to gather all the materials that you need to make the entire process work. Collect a dozen fruits that have high acidity content like citrus, apples, and pears. Then you also have to collect copper screws that you will use for each piece of fruit. You also have to collect Zinc nails that will also be for fruit and then an insulated copper wire. Once you have all the material that you need, make sure to wear rubber gloves to protect you from shocks. Then you are good to go. To create the fruit battery that you will use to charge an iPhone or any other device. Take the Zinc nails and insert one for every fruit and make sure that you will leave the tip of the nail exposed. Keep in mind that the exposed part of the nail must have enough space for connecting the wire. After placing all the Zinc nails to each of the fruit in your system, you can now take the copper screws. Insert one screw into each fruit and make sure that the screw and the nail will not touch. If you are using citrus fruits in your fruit battery system, make sure that all of the nails and screws are placed in the same part of each fruit. Then use the insulated copper wire to connect the fruits forming a circuit like structure. However, you have to make sure that you connect the wire from the copper part of the fruit to the zinc part of the other until all the fruits are connected. And finally, get an old USB charging cable and cut it open to expose the wires inside, then connect the wires at the end of the copper wire that connects all the fruits in the circuit. Connect the other end of the charger cable to your device. In this setup, each fruit in your circuit will produce up to half a volt that will combine to reach 5 volts that will be enough to charge your device. This is an unusual way on how to charge your iPhone without a charger but it worth a try.